Rebecca's Garden, Vol. 1: Basic Gardening by Generic at Chocolate Movie. Hurry! Limited time offer. Offer valid only while supplies last. For the beginner to the seasoned pro– Master Gardener Rebecca Kolls will help you learn and understand everything you need to know about gardening. For the beginner to the seasoned pro– Master Gardener Rebecca Kolls will help you learn and understand everything you need to know about gardening. 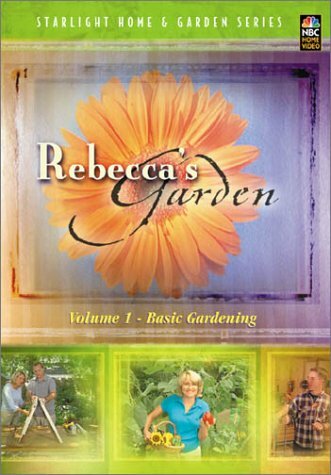 This DVD contains the most popular segments on basic gardening from the TV show "Rebecca's Garden". Special Interest. 48 Minutes.